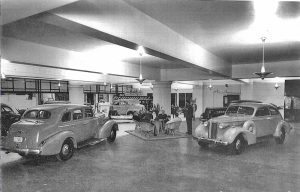 Photo depicts the Boyded showroom in1938. 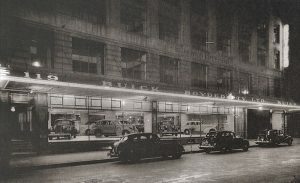 The location is Phillip House, 119 Phillip Street, Sydney. Webmasters Note: Have a look at the beautiful Century Sloper in the picture below. 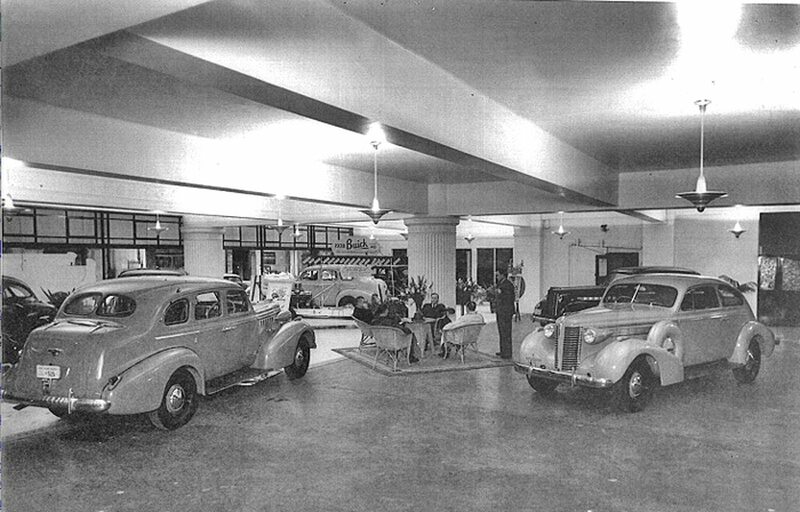 This body style (right hand drive only) is unique to Australia and was locally assembled with a “Holden” body. The rear seat back folded forward (station wagon style) to form a flat floor, virtually foreshadowing todays 2 door hatchback design. The large luggage capacity achieved made this Buick the car to aspire to for the commercial representatives of the day.